Moist & flavorful – pretty hard to believe they’re also low-fat & Gluten Free! 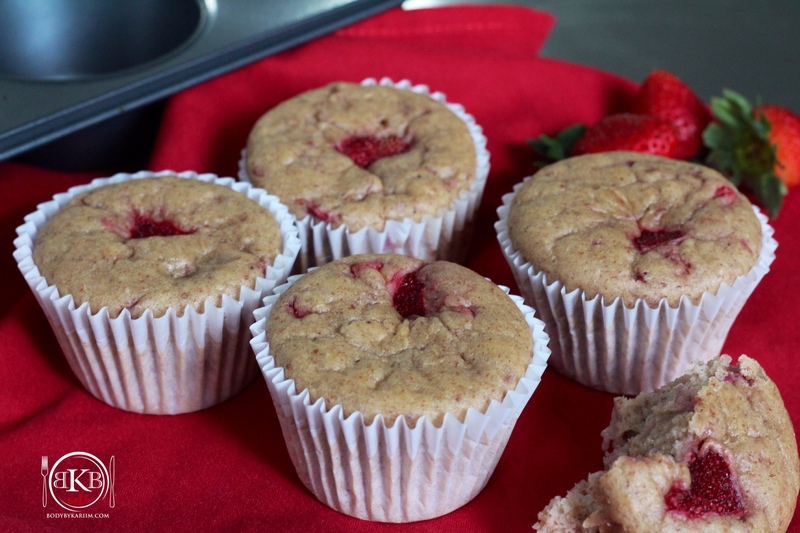 Bananas and strawberries have a natural sweetness & give these healthy muffins a delicious flavor. NOTE: This recipe made 6 standard size muffins. 1 egg (optional) —-can be enjoyed without the egg. Pour Pamela’s Baking Mix along with all other ingredients in a large bowl. 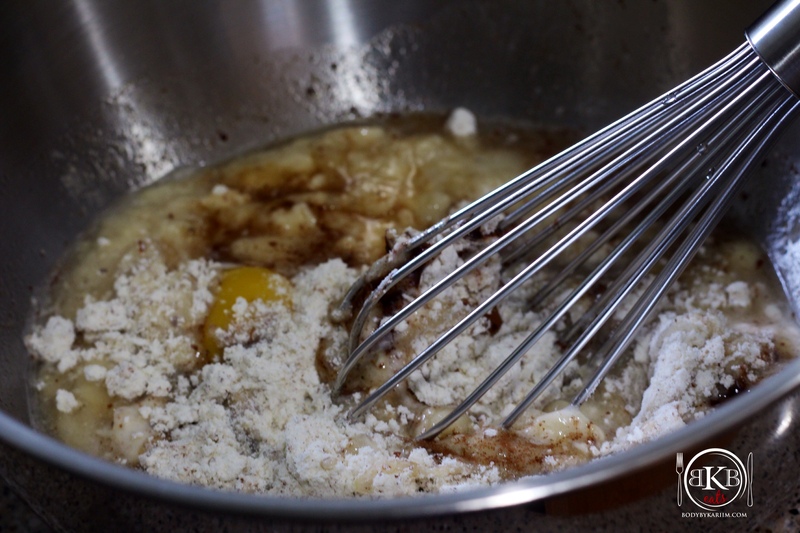 Whisk all ingredients together until blended well. Place muffin cups in muffin pan. 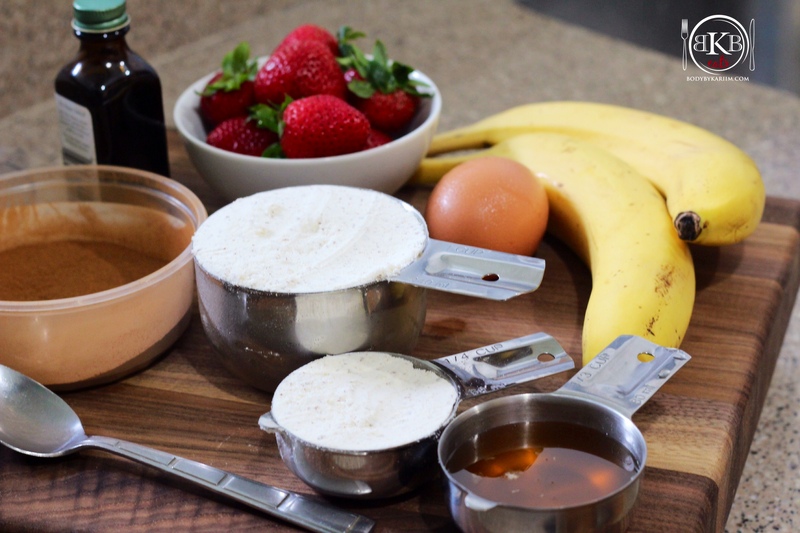 Use either a spoon or measuring cup to fill the muffin cups with mixture. 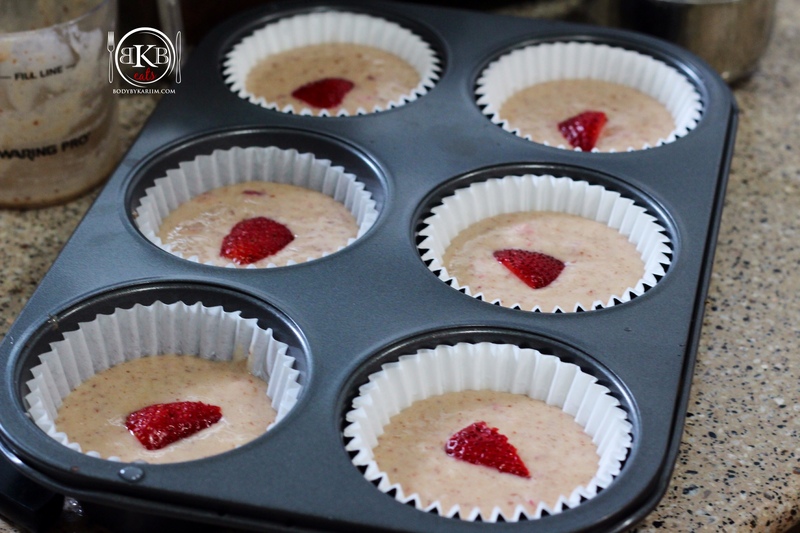 NOTE: Baking the fresh strawberry on top leaves that spot extremely moist once the muffins are done.